In late July his year I once again had the privilege of participating (via Skype) in my third Blogstar Meet Up! 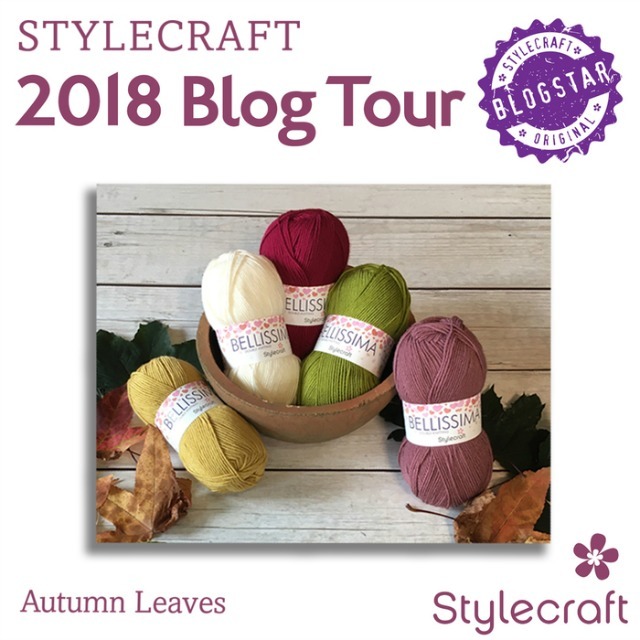 Stylecraft very generously sent a huge box containing their new yarns for Autumn and Winter 2018. 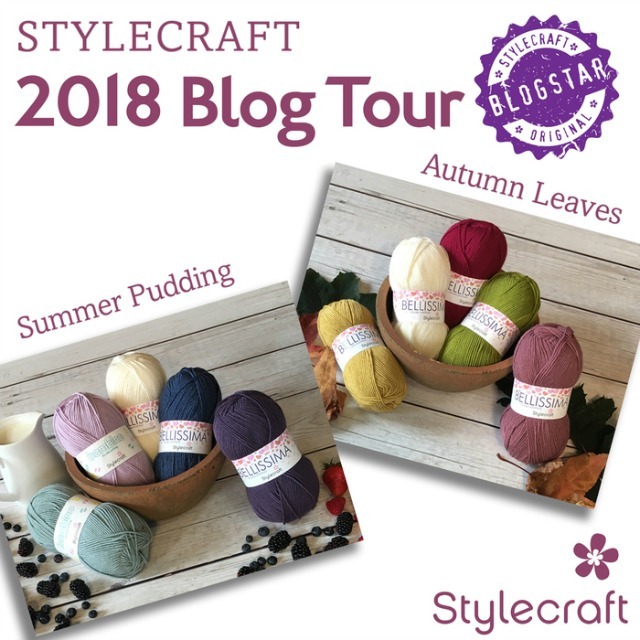 Besides all this yarny yumminess we got to choose from two gorgeous colour packs for this year's Stylecraft Blog Tour. I chose the "Autumn Leaves" yarn pack which consists of 1 x 100g ball each of 5 fabulous colours: Sugar Snap; Mellow Yellow; Single Cream; Ash Rose and Rio Red. Bellissima is the "grown up" version of the super soft and squishy 100% Acrylic Bambino and it comes in 14 "to die for" colours! Yesterday we visited the lovely Angela at GET KNOTTED, tomorrow we will visit Charlotte Stylecraft's Inhouse Designer and today is my turn!! 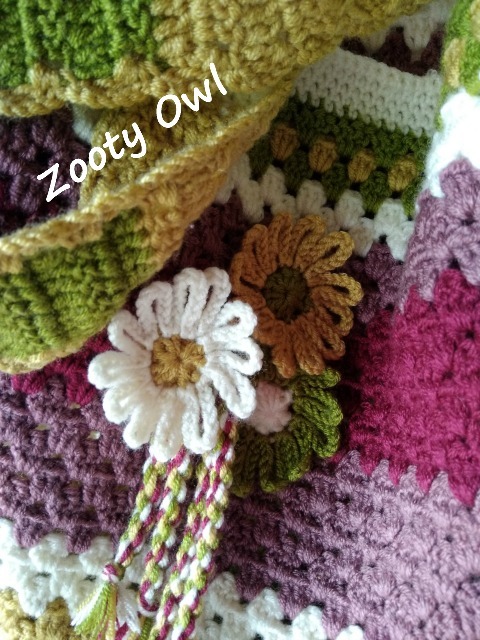 Having learnt how to crochet some 48 years ago, I am a huge fan of the granny stitch (3dc groups). and a C2C kerchief from my yarn pack. 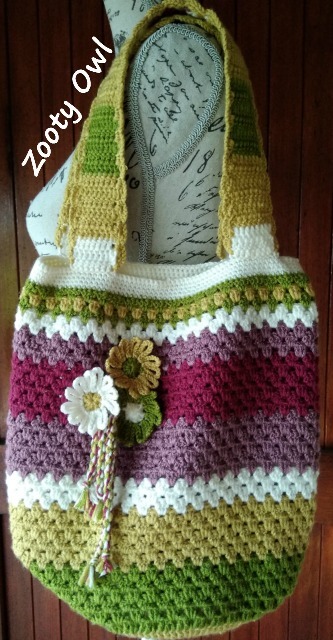 The bag is embellished with pretty chain loop daisies and BRAIDS. The Kerchief has a button on either end, making it easy to fasten around any size neck. 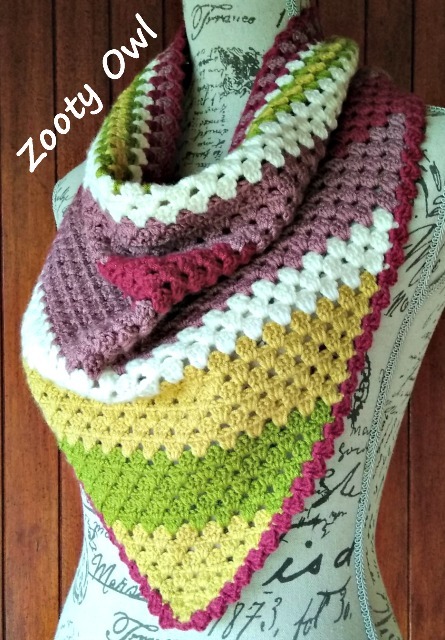 The pattern is available as a FREE download on RAVELRY. 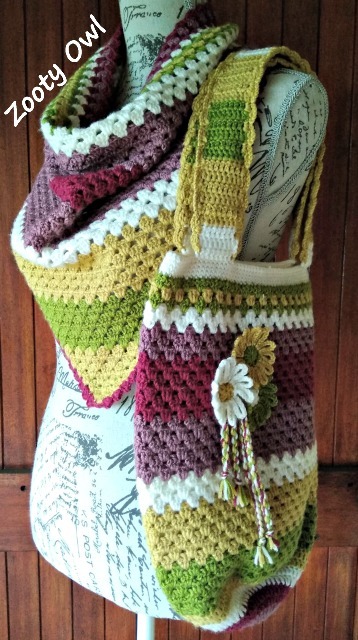 You stand a chance to win your very own Autumn Leaves Yarn Pack from Stylecraft. The giveaway is open from 10h00 UK time on 13 October to 10h00 GMT on 14 October. Stylecraft will announce the WINNER around 14h00 UK time on 14 October. I will post the name of the winner on my. 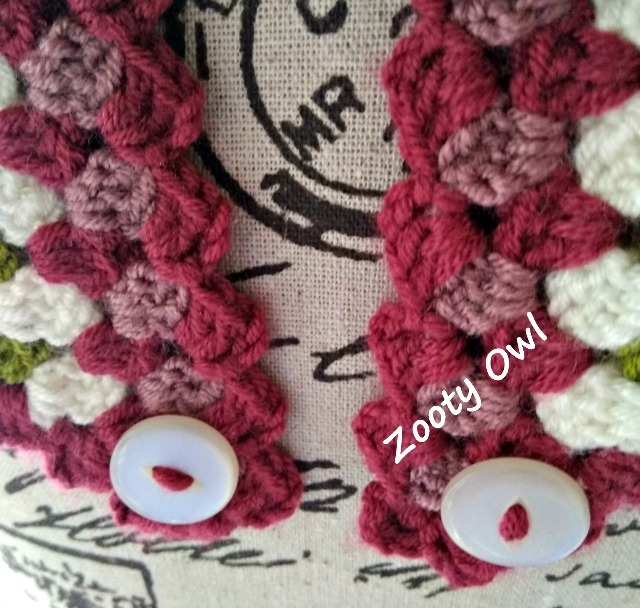 ZOOTY OWL FACEBOOK PAGE. To enter the competition, click on the widget below and follow the steps provided.